Here is well known and much loved folktale from Korea. A tiger sneaks into a village at night, hungry for some prey. As he sneaks around, he hears a baby crying loudly in a house. The mother tries everything to keep the baby quiet, but to no avail. Eventually, in her desperation she even says "here comes a tiger! ", which makes the tiger really proud of himself - but the baby keeps crying. 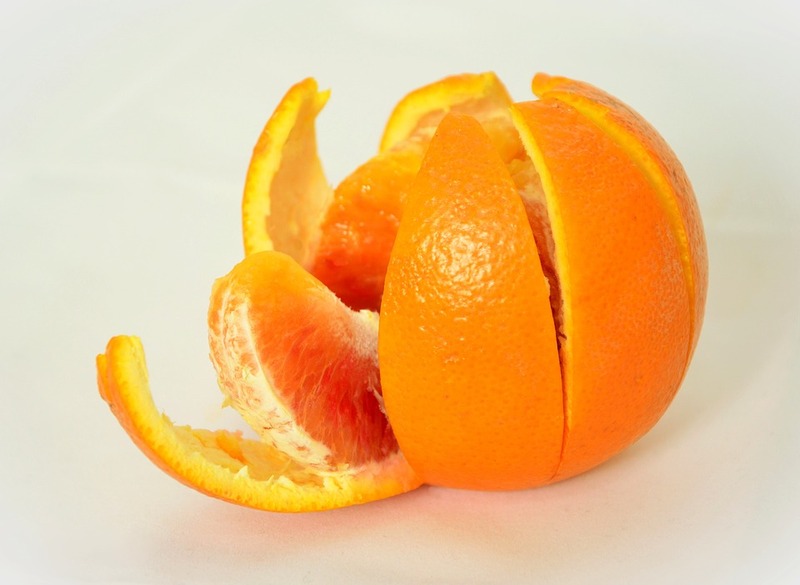 The mother, exasperated, decides to give the baby a treat, and says "here's a persimmon!" Content with the treat, the baby falls quiet. Tiger, hearing this exchanges, grows scared. 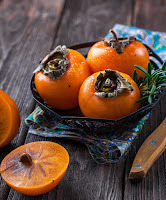 What on earth is a persimmon, that it could scare a child into silence, when the threat of a tiger could not? What in the world can be more terrifying than a tiger? What kind of a monster is a persimmon, and what is it doing in that house?! Thoroughly freaked out, the tiger runs away, and takes shelter in the barn where the dreaded persimmon can't get him. In the meantime, there is someone else sneaking around the village: A thief. The thief gets into the barn, hoping to steal a cow, but it is so dark in there that he can only find his way around by touch. Groping around in the darkness, he grabs on to the tiger's back, and thinks it is a cow with a very lush coat. He gets on the back of the tiger (facing backwards) and holds on. The tiger, terrified that it is the persimmon that is on his back, bolts, and runs away crying "Help! A persimmon is after me! Don't eat me, Mr. 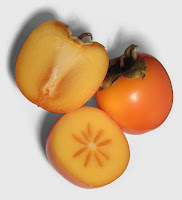 Persimmon!" while the thief is crying "Don't eat me, Mr. Tiger!" I don't know about you, but I'm kinda curious now: What would a persimmon monster look like? 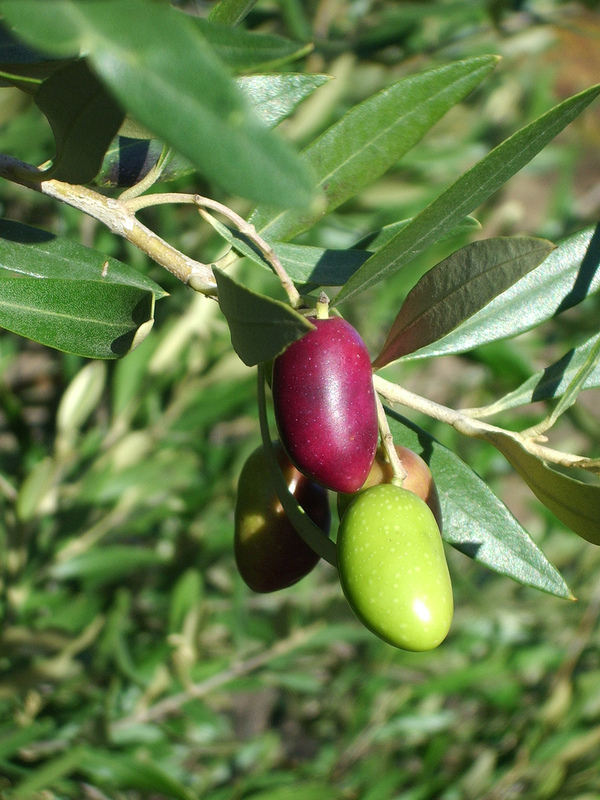 Well, we just had oranges yesterday, so today I have to do olives. 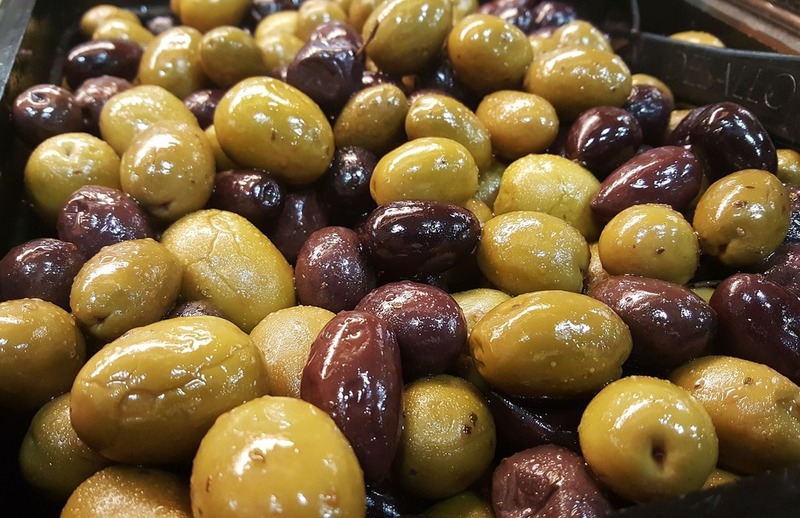 Luckily, olives play an important role in many cultures, and a such there are countless tales and legends that revolve around them. Today, I picked one of my favorites. Here is a story from the Thousand and One Nights (more specifically, from nights 639-643). Ali Khwajah, the merchant lives in Baghdad in the time of the famous wise caliph Haroun Al-Rashid. One day he decides to go on the pilgrimage to Mecca. He sells all his goods, and since he doesn't want to carry all his wealth to Mecca, he puts a thousand gold coins into an olive jar, spreads some olives on top, and seals the jar. He then takes the jar to a merchant friend of his, and asks him to store the jar in his house while he is away. The merchant friend agrees, puts the sealed jar in his cellar, and forgets about it. Ali Khwajah goes on the pilgrimage to Mecca. On the way, he meets other merchants, and decides to accompany them to faraway lands, and travel the world. He is away for seven long years. 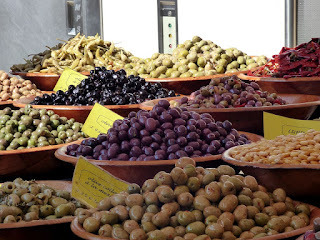 In the meantime, towards the end of the seven years, the other merchant's wife starts craving olives. The merchant opens the sealed jar (despite his wife's protests), and finds that the olives have gone bad, but there is gold underneath them. He takes the gold, fills the jar with fresh olives, and seals it back up. Soon after Ali Khwajah comes home, greets his friend, and takes back his jar. When he opens it, he finds it full of olives, and all thousand pieces of gold are gone. He returns to his friend to complain, but the merchant denies that he's ever opened the jar. The matter ends up at court before the judge, but since there are no witnesses about the gold, the case is dismissed. The desperate Ali Khwajah goes before Haroun Al-Rashid, asking for justice. The caliph promises to think it over. That evening Haroun Al-Rashid goes walking in his city, and notices a handful of children playing. They are reenacting the (high-profile) case of Ali Khwajah. One child pretends to be the judge. He asks "Ali" to bring the jar of olives in for inspection. 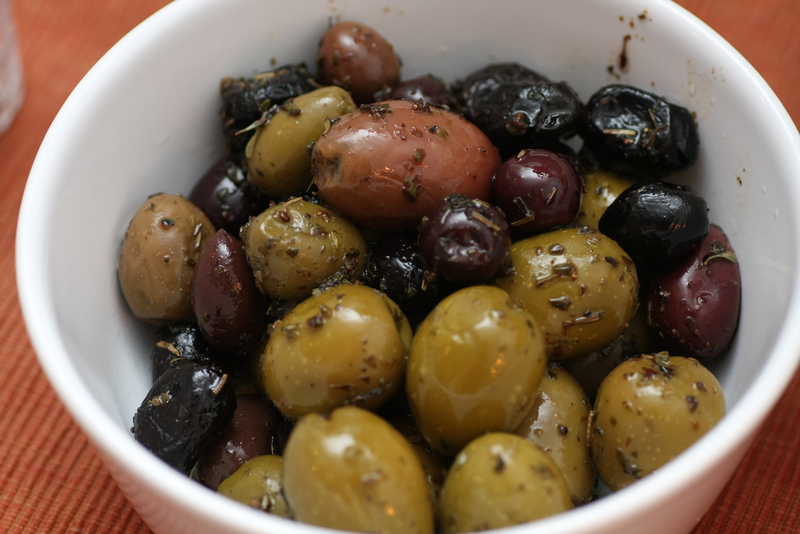 He tastes the olives and finds them fresh. He orders two olive merchants to tell him, from their expertise, how long olives keep in a jar. The merchants testify that no olives keep for more than three years. The child-judge thus concludes that the jar had been opened and refilled, and decides the trial in Ali's favor. Haroun is so impressed with the child that he orders him to court for the next day. When the merchant and Ali Khwajah arrive, the caliph does exactly what the child has done, and since the olives are fresh, the truth of the matter comes out. Ali gets his money back, the boy also gets a thousand pieces of gold, the merchant is hanged for his crime, the judge is disciplined for being bad at his job. Justice prevails, thanks to the wisdom of a child. Do you think there would have been another solution for Ali to reveal the truth and get his money back? Okay, so I am cheating here a little, but this was too good to pass up. In Catalonia, there is a folktale known as La Tarongeta. 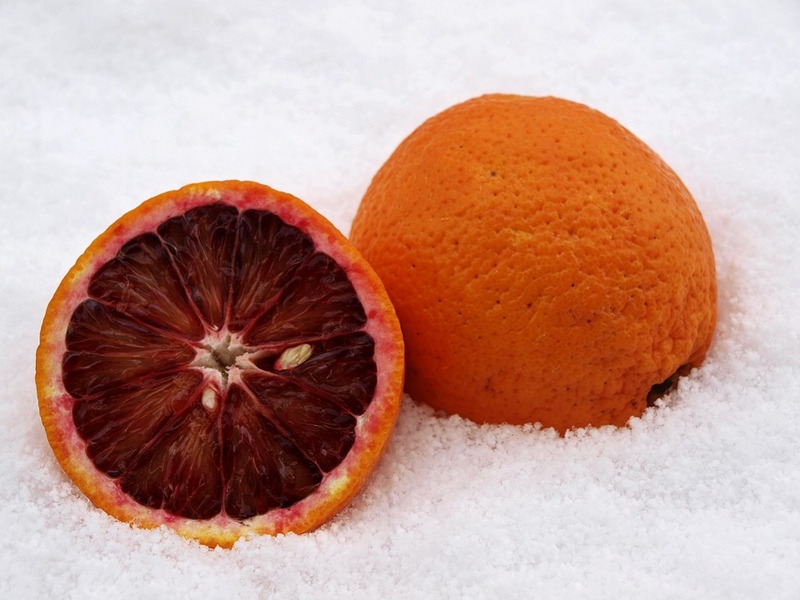 It is often translated as "Little Tangerine" and even "Little Grapefruit", but "taranja" in Catalan means "orange." There was once a queen who wanted to be the most beautiful woman in the world. Every day, she asked her magic mirror, and every day her vanity was confirmed. 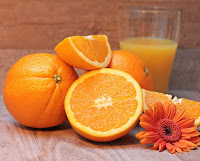 One day, she purchased an orange from a traveling merchant. As she ate it, the orange peel fell on the snow in the garden. Seeing that, the queen wished for a daughter who would be white as snow and gold as the orange. 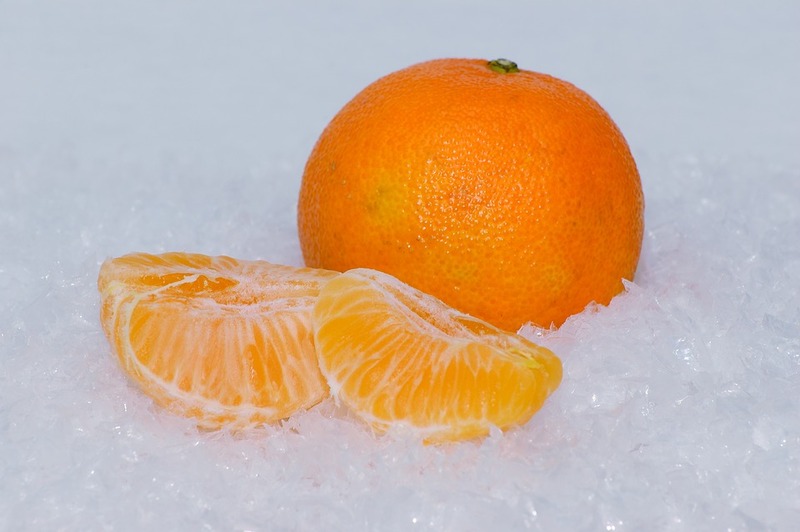 In time, a beautiful baby girl was born, and named La Tarongeta - Little Orange. From the moment Tarongeta was born, the mirror stopped flattering the queen. Enraged, she ordered two servants to take the girl into the woods, kill her, and bring her heart as proof. The servants, however, did not want to kill the princess, so they killed a goat instead, and told the girl to run. A talking dove led Tarongeta to a house deep in the woods. In the house lived thirteen giants. Tarongeta spied on the giants, noting how they opened and closed their house with a magic spell. Eventually she sneaked inside, and spent three days hidden in the house, until they finally found her. Telling her story, she made the giants feel pity for her, so they kept her as a servant. In the meantime, the queen found out she was still alive, and talked to a witch, who went to the house in the woods, offering a ring to Tarongeta. The girl put the ring on, and fell into a deep sleep. The thirteen giants put Tarongeta into a cave as a crypt. Some time later, a prince happened to find her, fell in love with her, and carried her home. One day, when she was alone, a servant woman tried to steal the pretty ring, and the moment she slipped it off the finger, Tarongeta woke up. She married the prince, they burned the queen publicly, and they lived happily ever after. Also, this is how you end a Snow White tale without non-consensual kissing. With grave robbery. Modern parents, you're welcome. Mangoes are relatively popular in folklore and legends. The Tamil story (part of a longer series of tales) I picked for today belongs to one of my favorite folktale types, ATU 567, The Magic Bird Heart. Except in this case, the magic bird heart is a mango. The story begins with a king who wishes for a child for a long time. One day a hermit foretells that he will lose his kingdom for seven years, and in the first year of his exile his wife will give birth to twins. The prophecy is fulfilled: The exiled king and queen become servants, and they have twin sons a year later. When the boys grow up, they decide to set out and seek their fortune. In a forest nearby, a hermit is patiently waiting under a mango tree. The magic tree only bears one fruit every hundred years; the one magic mango is ripening, ready to fall. The hermit decides to go and bathe, so that he can be clean to receive the holy fruit. While he is away, the mango drops, and the princes find it and share it. 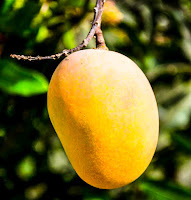 What they don't know (unless, in some versions, the hermit tells them) is that the mango has a special power: Whoever eats the peel will become a king, and whoever eats the seed will drop gemstones from his mouth every time he laughs. Soon after, the king of a nearby kingdom dies. According to custom, his advisers give a flower garland to his favorite elephant, and set it free; whoever the elephant puts the garland on will be the next king. The elephant runs into the forest, puts the garland on one of the princes' head, then picks him up and carries him home. He is crowned immediately. The other brother is left alone in the woods. After some wandering, he comes across a house where an old woman lives with her daughter, a dancing-girl. They invite the prince in, entertain him, and soon find out about the gemstones he laughs. They decide to get the magic mango seed, so they feed him a potion that makes him vomit and then faint. While he is passed out, they throw him out into the woods again, and the girl swallows the seed. 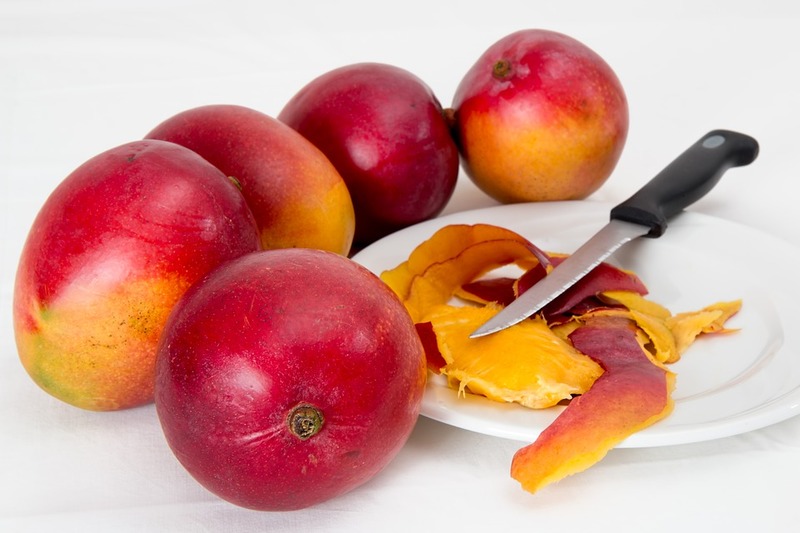 The prince eventually comes across another magic mango tree in the woods that bears four kinds of mangoes, and tastes them all. One turns him into an ape, another into a kite, the third into an old woman, and the fourth returns him to his original form. He collects some of all four kinds, and returns to the house of the women. Disguised as an old woman, he sells them some fruit, and lo and behold, the old woman turns into an ape, and the girl into a kite. The prince sets out, touring the towns and villages, showing off the magical animals. Eventually, he ends up in the royal city where his brother is king. 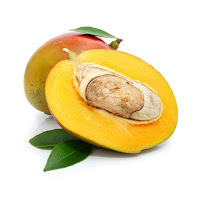 The two brothers are reunited; they feed a potion to the girl, regain the magic mango seed, gather an army, and take back their father's kingdom. All is well if it ends well. 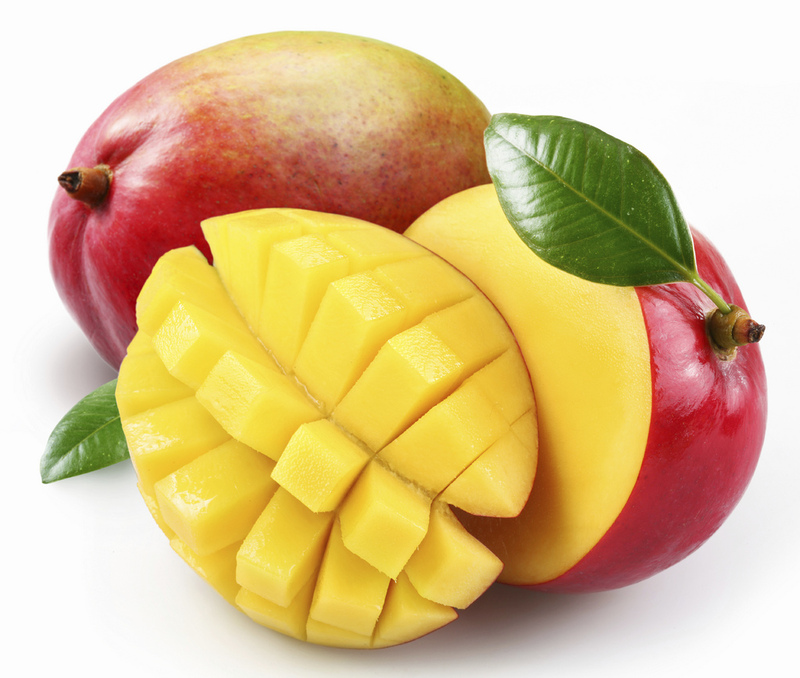 Which part of the magic mango would you rather eat? This story is a Chinese variant of a folktale type that is well-known around the world. In Spanish-speaking countries it is often called Tía Miseria, Aunt Misery, and the tree in question is usually a pear tree or a fig tree. The Chinese story tells about a poor old woman known to everyone as Pin Qiong, Poverty. Most people avoid her or look down on her as she picks her way through the garbage dump every day. 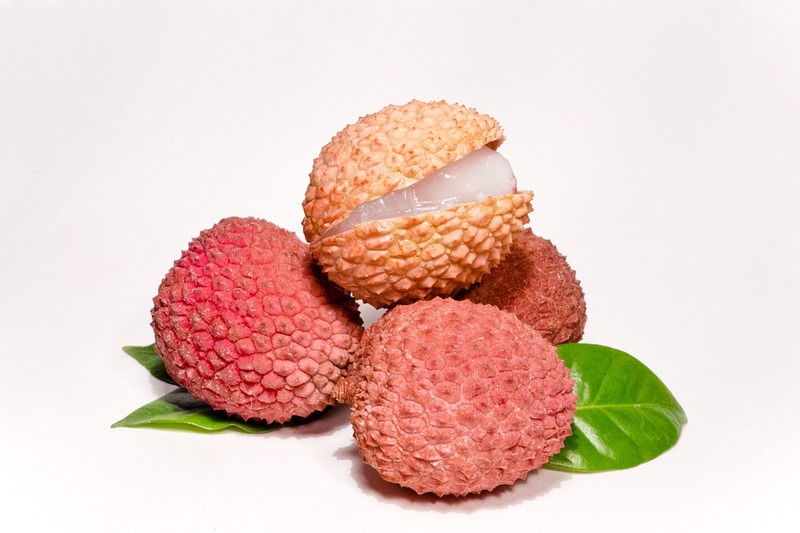 One day, she comes across a lychee seed with a small green shoot sprouting from it. She takes the seed home and plants in outside her hut. 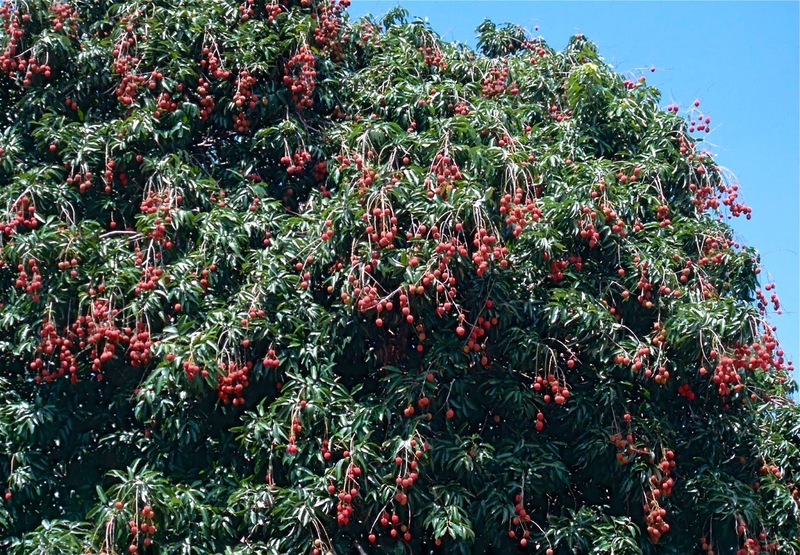 Miraculously, by the next morning the seed grows into a giant lychee tree, laden with sweet fruit. Poverty takes the fruit to market and sells it. She doesn't know that she has the best lychee in town, so she sells it cheap, but still makes enough money to start living a little better. The next morning, however, she finds the tree torn, and all the fruit gone. The next year, when the tree bears fruit again, the thieves take all the lychee even before the old woman can pick any of them at all. She complains to the authorities, but no one bothers to help her. 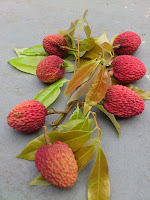 The third year, she tries to pick the lychees early, but since they are not ripe yet, they are all sour and useless. She tries to stay up all night to catch the thieves, but she is too old to keep watch. Eventually, an old beggar comes by. Poverty treats him well, giving him food and drink, and kindly inviting him in. The old man, in exchange, grants her a wish. Poverty wishes that the thieves could not take her lychee anymore. Her wish is granted: Next time the tree bears fruit, she finds half the village in the morning, all stuck to the branches of the tree. They had been stealing from her, and the magic keeps them from leaving. At first they yell and argue, and then they beg. Eventually, Poverty sets them free by clapping her hands. 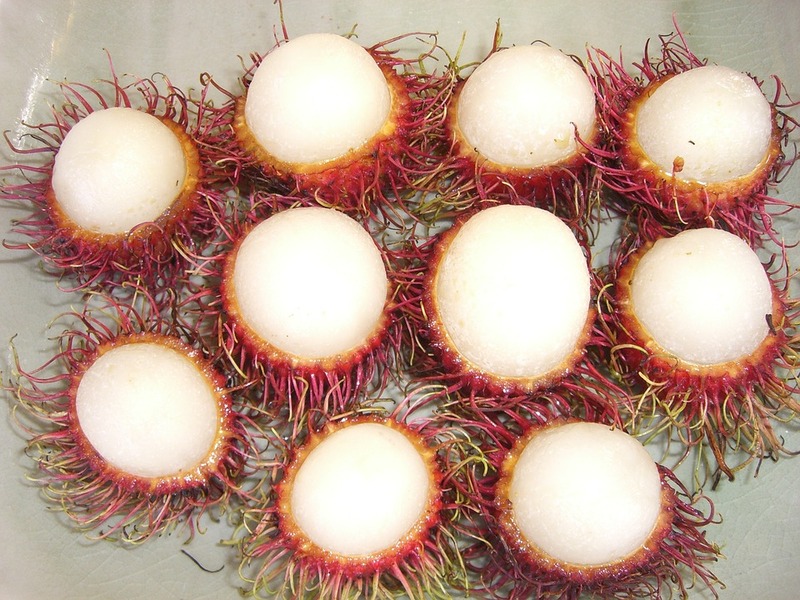 No one tries to steal her lychee anymore. One day, Death knocks on the old woman's door. She agrees to go with him, but kindly offers that he can eat some lychee from the tree first. Death climbs the tree, eats the fruit, and gets stuck; he begs for a long time to be set free, but the old woman refuses. Eventually Death promises not to ever take her. This, says the story, is why Poverty never dies, and lives in the world to this very day. You know how hard it is to find folktales or legends about a fruit that starts with K? 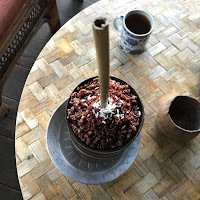 This legend comes from the Himalayan Lepcha people, and tells about the origin of Chyee or Chi (millet beer), a fermented beverage that is in high regard in their culture. Story says that once upon a time the Lepcha were fighting a war against the devil Laso Mung Pano. In order to help them, the supreme Creator fashioned a hero with supernatural powers from pure snow. Arriving to the battlefield, this hero realized that the spirit of the Lepcha was broken, and they needed something to boost morale. He quickly consecrated a Lepcha priestess, Nyolik-Nyosong, and gave her some supernatural powers too, to help her people. However, even the priestess' powers failed to make the people fight better. Eventually, Nyolik-Nyosong found out about a recipe for a power potion, Bhut, that could help the soldiers. She asked for a volunteer to travel to the Netherworld and bring the potion from Matlimanyoo, the evil sorceress. Cockroach volunteered, bravely ventured into the nether realms, tricked the sorceress, and got away with the potion. On the way home, Cockroach stopped to rest a bit. 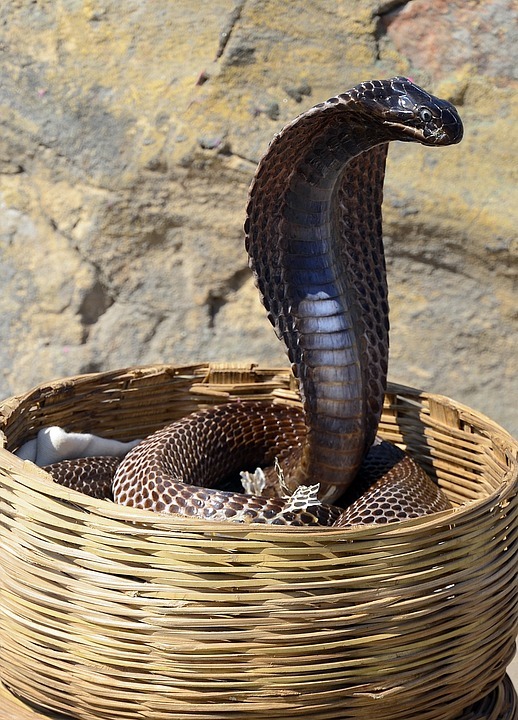 While he was asleep, Black Cobra happened on him, and tasted some of the Bhut - he instantly became deadly venomous. Soon after, Honeybee passed by, and tasted a speck of the potion - and immediately grew a stinger. Some birds came next, and upon tasting the potion, they became carnivorous; then a kantek fig tree leaned down, and touching the potion, its fruits immediately turned sour. 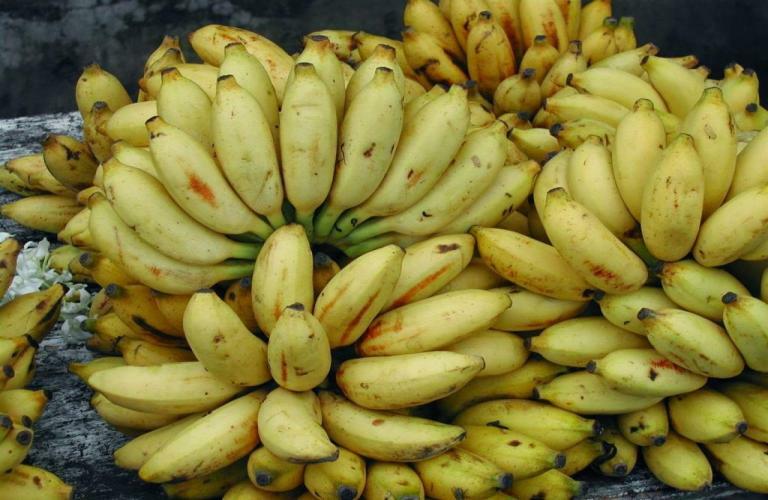 Finally after all these creatures, kundong koong, the plantain tree touched the potion as well, and its fruits grew sweet. The deadly poison was finally out, distributed between several beings; by the time Cockroach made it back to the priestess, the Bhut was safe for human consumption. From the magic potion, Nyolik-Nyosong created Chi, a fermented drink that boosted the morale of the Lepcha soldiers, who managed to defeat the demon Laso Mung Pano. The evil sorceress Matlimanyoo, however, robbed of her secret recipe, cursed the new drink: It has healing properties in moderation, but it can be a poison if one drinks too much of it. 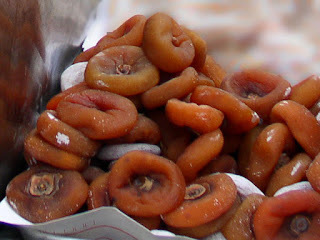 Ever since then, kantek fruit has been sour, and kundong koong fruit has been sweet. 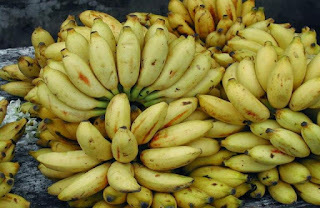 I am learning a lot from researching these fruit folktales so far. Are you? 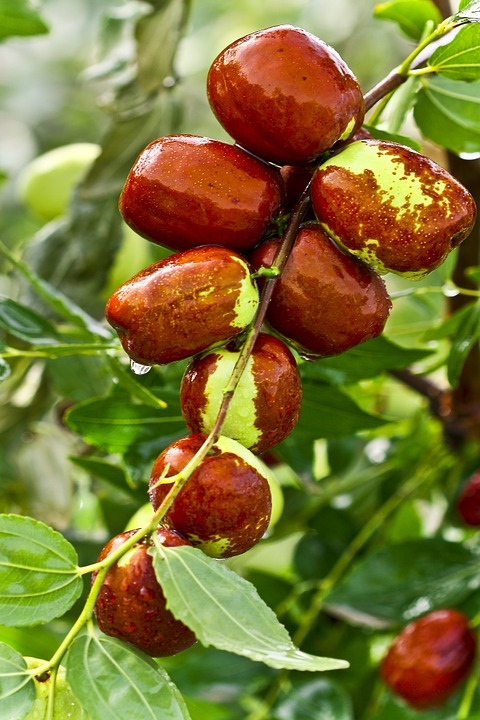 Jujube is a date-like edible fruit that grows on a small tree or shrub. The story I found about it comes from the Hui people, an ethnic minority in northwestern China who are predominantly Muslim. According to the story, back in the day when the Prophet Muhammad was persecuted by non-Muslims, he fled from a violent attacker into the desert. Eventually, tired of running and dodging attacks, he stopped and sat down on a pile of dirt to take a breath. Soon, the pagan chief caught up to him, but didn't recognize him, so he asked if he had seen a man fleeing. Muhammad pointed him towards the southeast. While the chief was also taking a breath, Muhammad decided to eat something. Taking a piece of cotton from his clothing, he planted it in the dirt. In front of the chief's amazed eyes, a jujube plant sprouted from the ground immediately, blossomed, and produced two jujube fruits. Muhammad kindly gave one of them to his enemy. The pagan chief admitted that he was a man of great power, worthy of following. After they ate the dates, Muhammad revealed his identity, telling the chief to kill him if he wished. The chief, humbled by his power and kindness, swore to follow him, and converted to Islam with all his people. 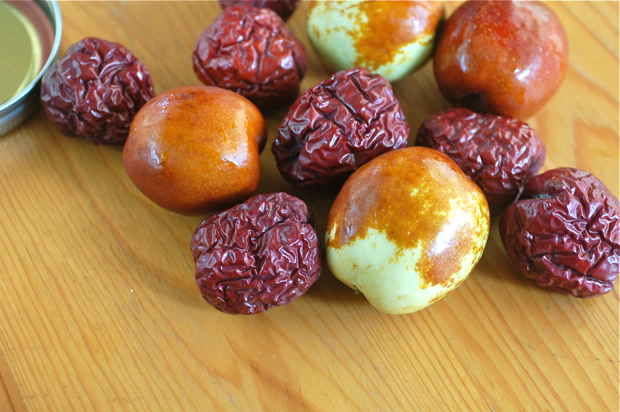 Ever since then, claims the story from Ningxia, jujube dates have been precious to Muslims, and their kernels are used to make payer beads. Have you ever tried jujube? Did you like it? If you could grow one fruit tree out of the ground immediately, what would it be?